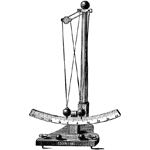 The author poses some questions about principles of motion. The author discusses the meaning of ‘nature’. The author describes motion and continues on the subject of nature. The author discusses the meaning and the existence of ‘place’. The author describes change and motion. The author describes indivisibles and divisibles. The author explains the cause of motion. The author explains the existence of motion and a few objections. Aristotle, . Physics. Lit2Go Edition. -350. Web. <https://etc.usf.edu/lit2go/98/physics/>. April 19, 2019. Aristotle, Physics, Li2Go edition, (-350), accessed April 19, 2019, https://etc.usf.edu/lit2go/98/physics/.